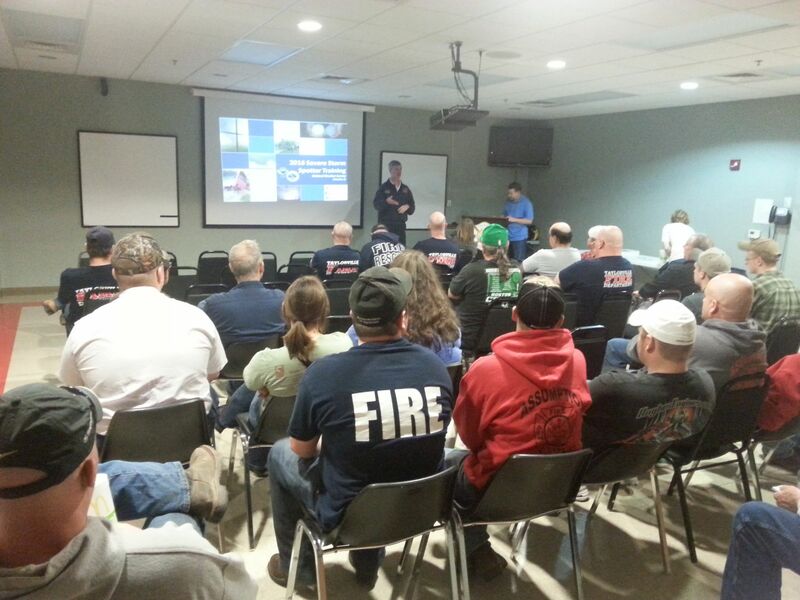 A good crowd attended the severe storm spotter training class at the Taylorville Fire Department on Tuesday night. 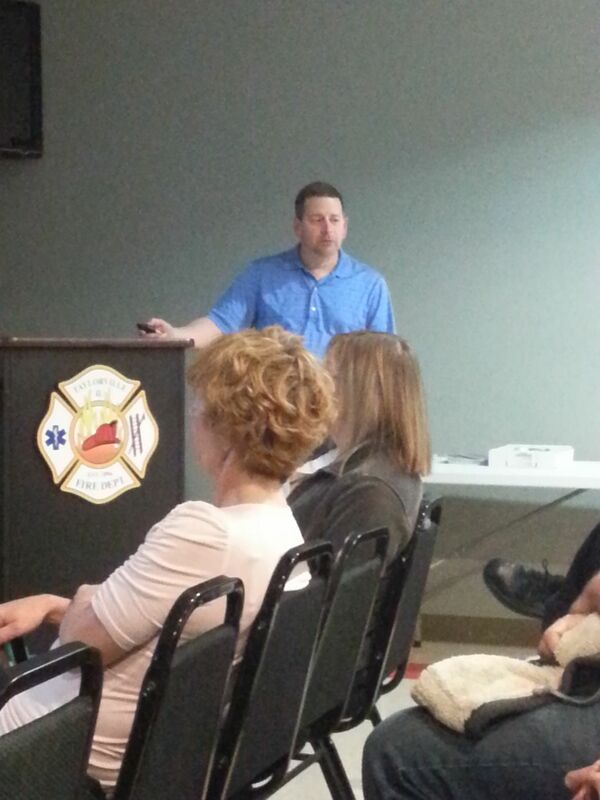 A presentation was given by James Auten, a meteorologist of the National Weather Service in Lincoln. There were a total of ten new spotters that attended the class. Discussion involved the importance of spotters, types of storms, flooding, changes in the last 20 years of issuing warnings quicker and getting weather information faster, and among other topics. During his presentation, Auten stated in 2006 Illinois ranked first in the nation of tornadoes that occurred, which was more than any state, including those in Tornado Alley. Auten noted the peak times for flooding are during the nighttime hours, along with the most fatalities at night and in vehicles. Auten told Regional Radio News when he leads the class, he enjoys meeting new people and helps spotters by providing safety tips and advice. 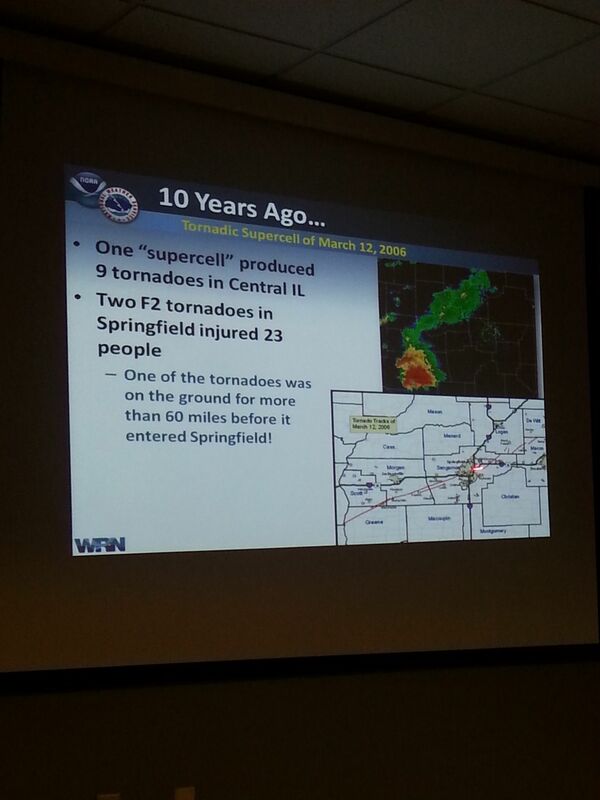 More information about the weather spotter classes can be found at weather.gov/lincoln.